Passion is love on the move. It is boundless energy that pumps through your veins and makes you feel alive. Passion comes from the heart, and is fuelled by the fire in the belly. Passion is different from just ‘loving something’ or being good at something. 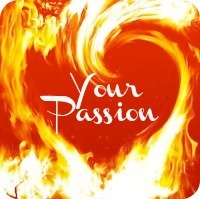 True passion is fiery and can be expressed with love or with anger. It is the friction between the feelings of love and hate that creates passion. So when you are passionate about something, you are equally as passionate about the opposite. If your passion is playing music as therapy for the elderly because you love seeing their faces light up and their health improve, you will get angry when you see older people stuck in nursing homes who feel un-inspired and un-stimulated and don’t have access to alternative therapies that could give them a better life. Your passion should get the fire in your belly smoking. This fire is what enables you to keep expressing your passion without becoming tired or losing interest. When expressed freely, your passion effects the world around you in a positive way. It touches people’s hearts and inspires change. Everybody has a story. Your story, the journey of your life so far, is part of your identity; it’s how your soul has chosen to learn and evolve through experience. Your life is a testament to your unique wisdom. 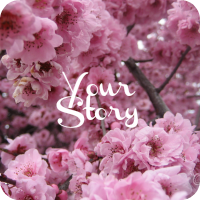 Every story has a moral that highlights the purpose of your life experiences. Experiences that share a common theme will continue showing up in your life to teach you pearls of wisdom. These pearls of wisdom not only help you to understand your gifts, they also hold to the key to sharing them. It takes courage and time to reveal the moral of your story, but when you do, you are able to use it to connect with others who relate and benefit from the wisdom of your experience.